This book offers a scholarly guide to the tangible and intangible heritage of the 19th– and 20th-century district of Downtown Cairo. For the first time, it presents a detailed survey of the architectural plans and typologies of the district’s apartment buildings. Linking the apartments to their inhabitants’ memories and stories, this book maps changes over time in how space was used in Cairo. In doing so, it illuminates some of the workings behind changes in Cairo’s society. The book contains thirty-eight building profiles with technical and historical descriptions; they are organized in chronological order to give a panorama of the developmental history of Downtown architecture. Interspersed short texts provide insider glimpses into specific aspects of Downtown, such as historical backgrounds, narratives of private spaces, and observations on particular architectural phenomena. the urban relation tour points out buildings with a special relation to their urban context. 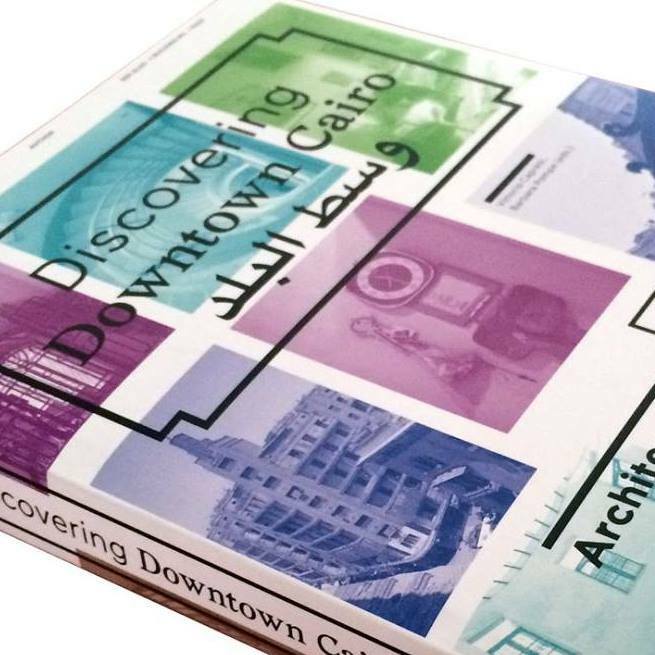 Finally our best-of guide leads the readers to the authors’ favorite buildings, as their personal declaration of love to the inhabitants and the buildings of Downtown Cairo. With contributions by Shaimaa Ashour, Ralph Bodenstein, Vittoria Capresi, Galila El Kadi, Mohamed Elshahed, Karim El Sayed, Barbara Pampe, Ola Seif, Mercedes Volait, and Stefan Winkler. The Downtown Summer School was financed by the German Academic Exchange Service – DAAD on behalf of the German Ministry of Foreign Affairs. who generously supported this book.